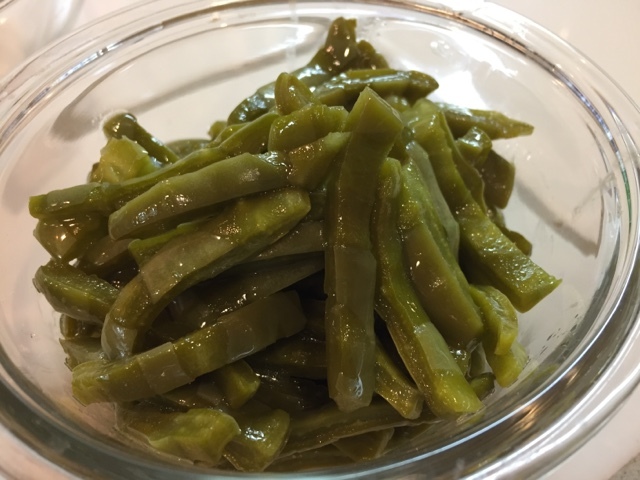 After my mother's home cook testing with nopales, I thought I would give it a try myself. She made them into a very tasty refreshing salad. 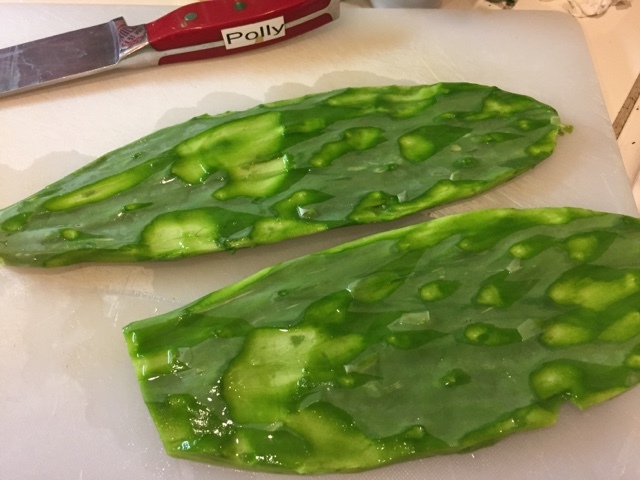 Wearing thick gloves, Fresh cut young nopales. Use a blow torch to burn off the fine thorns or use a garden hand shovel and scrape off thorns. 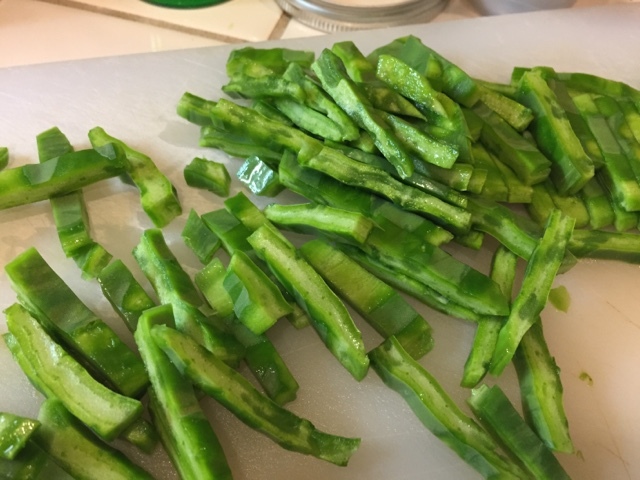 Use kitchen peeler to scrape off all the thorn eyes left behind. Heat 1-1/2 tablespoon of avocado oil in a sauté pan. Medium high heat. Stir fry for 1-1/2 min to 2 min. You have a choice to fresh squeeze a lemon and add to it or eat it as is. What taste do you expect!? Ready?! 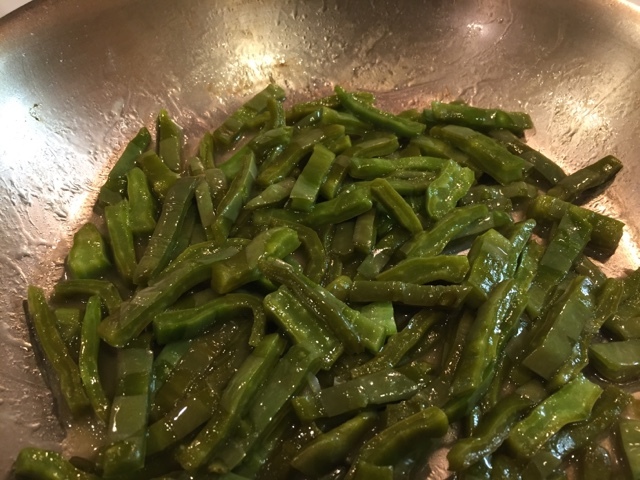 Stir fried nopales tasty sour to tangy all by itself. I love it just the way it is. Eat it straight out of refrigerator. Cool salad.